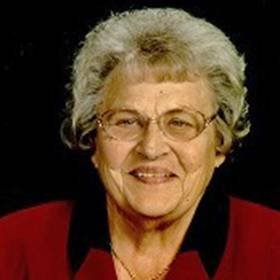 With a life that spanned times of war and times of peace, times of plenty and times of want, Tresa Skomski was a blessing in the lives of those around her. Although life was not without times of trial for her, she faced whatever came her way with both grace and courage that were to be admired. Tresa was a devoted wife and mother, yet there was nothing as near and dear to her heart as holding her grandson for the first time. Straightforward and to the point, she wasn’t generally one to mince words and didn’t shy away from speaking her mind. Life will never be the same without Tresa here, but she leaves behind a priceless collection of moments with loved ones that will be priceless memories for years to come. The year 1929 is often remembered as the year that the crash of the stock market sent our nation and much of the world spiraling down into the depths of the Great Depression. Although the 1920s were primarily prosperous days for most Americans, the 1930s were drastically different with jobs that were hard to find and a soaring unemployment rate. It was shortly before the historic day when the stock market crashed that Joseph and Anna Danuinas were eagerly awaiting the birth of their new baby as spring appeared on the horizon in Centralia, Pennsylvania, in March of 1929. The big day finally arrived when the baby girl they named Tresa B. drew her first breath on March 6th. She was raised on a small farm in Columbia County located in Eastern Pennsylvania. 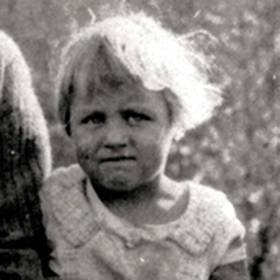 When she was just a young girl of two, her father died from black lung disease as he was a coal miner.  Life was not easy for Tresa while she was growing up as they were dirt poor. 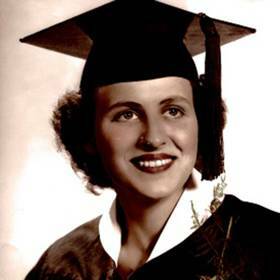 Her mother later remarried another coal miner, but sadly, he died when she was a senior in high school. Tresa was raised in the family home alongside her siblings, Anna, Joseph, Mary, and Albert. She has been described as mischievous and even crazy while growing up as there were several stories of her antics. Tresa once tried to throw cantaloupes out of car windows from the back seat and ended up hitting the inside of the windshield! She and her girlfriends once stole earrings at the fair, too. Even later in life Tresa was a bit crazy as she once started a spitball fight with one of her kids and their friends. There were little wads of napkins all over the basement! While growing up, Tresa attended local schools and graduated from high school. She later went on to beauty school. New and exciting changes were in store for Tresa when she met the young man of her dreams, who was visiting from Michigan with his friends. His name was Andrew J. Skomski, and they met at a Fourth of July party in 1956, in Pennsylvania. Tresa was playing the accordion at the time, and Andrew couldn’t help but notice her. They began dating, and it didn’t take long long for love to grow. 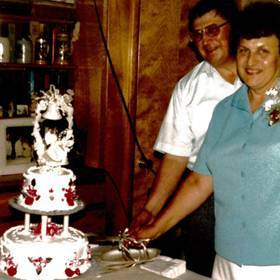 With a desire to establish a life together Tresa and Andrew were married at Our Lady of Mercy in Slabtown, Pennsylvania, in 1957. Afterwards, they moved to Michigan and together they welcomed their son, Andrew, and their daughter, Andrea, into their hearts and home. 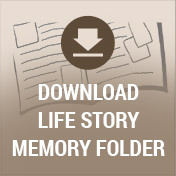 Some of Tresa’s favorite memories were made on their three week car trip out West in 1968. They saw so many amazing things together on that trip. Later in life she was filled with unspeakable joy to hold her grandson, David, for the first time. For the rest of her life she was so thrilled to be a grandmother, and being with her family brought her so much joy. Throughout her life Tresa worked hard. As a young woman she worked making shirts in a local shirt factory. In addition, she was the organist at her church for 13 years. Once she got married she left these jobs. In addition to caring for her family, Tresa also kept up her cosmetology license and ran her business out of her basement. Always a bustle of activity, Tresa was a woman of many interests. A woman of faith, she was always a devout Catholic. 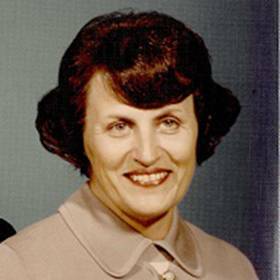 Tresa enjoyed things like bowling, playing the slot machines, and playing cards, but she was also a hardworking farm girl through and through as she enjoyed all aspects of farming, gardening, and weeding. She liked cooking, crocheting, and playing Bingo. Tresa was never really a typical girly girl. In fact, her family nearly died laughing the time she blew her nose into a linen napkin while they were eating at a fancy restaurant! All who knew Tresa Skomski would agree that there was no one else like her. She was free spirited and not afraid to do things her own way, which made her so much fun to be around. Tresa could even be silly at times, and it was so easy to see how much she loved life. Accompanied by her Catholic faith, she was kind and compassionate with a love for her family that had no equal. Always quick to remind people that she was just a farm girl from Pennsylvania, she loved the simple things in life. Deeply loved, Tresa will be forever missed.